When crude oil is refined into various products we use every day, such as gasoline, kerosene, and methane-based fertilizers, the inherently flammable substance must be heated at a high temperature. In order to prevent fires and to control heat, oil refineries once relied on the heat- and fire-retardant properties of asbestos in pipes, pumping systems, storage tanks, and other components. While refineries have turned to alternatives, given the health hazards of asbestos-containing materials (ACMs), some asbestos still remains at many of these sites. But while oil refinery workers in close proximity to ACMs are now required to take strict protective measures, those exposed to ACMs before its dangers were well known may be at risk of developing mesothelioma or other asbestos-related illnesses. Oil Refinery Asbestos Exposure: Who is Most at Risk? There were 141 operable refineries in the United States in 2017, according the U.S. Energy Information Administration, with an estimated oil refinery workforce of more than 41,000 (roughly half located in Texas). Virtually anyone who has worked at an oil refinery may be at risk for an asbestos-related illness, but some professions present higher risks than others, such as pipefitters, boiler makers, electricians, welders, and millwrights. Mesothelioma takes roughly 30 to 50 years after exposure to take hold and show symptoms, so long-time and former oil refinery workers who are currently healthy are not necessarily in the clear. Relatively young refinery workers, particularly those who started in the industry after the 1980s, are at less of a risk. However, working with or replacing ACMs without proper protective gear (such as respirators) can put anyone at risk. Since asbestos is not only heat and fire resistant, but also protects against certain chemical reactions, it was once considered indispensable for the necessary boiling of crude oil. Any time asbestos is released from ACMs (made dusty) and becomes airborne, anyone in the vicinity can inhale the tiny fibers and over time develop mesothelioma or other serious medical conditions. Therefore, tasks such as cutting asbestos pipes or filing asbestos gaskets (often in tight, poorly ventilated spaces) can expose workers to potentially harmful levels of the substance. Insulation – Up until the 1970s, asbestos was routinely used for insulation in refineries whenever heat and fire were a concern (such pipelines, boilers, furnaces, pumps, and tanks). Asbestos insulation still remains in place at many oil refineries. This insulation is often in a deteriorated condition, which poses a hazard to those working at the jobsite. Construction Materials – Protective screens for on-site welding operations, ceiling tiles, walls, and other common building materials incorporated asbestos. Protective Gear – Oil refinery workers commonly used asbestos-containing clothing and gear to protect them from excessive heat and fire hazards. Refinery Equipment in General – Asbestos was once liberally incorporated into a wide range of equipment used in oil refineries, from sealants to gaskets and packing. It’s important to remember that mesothelioma, an aggressive form of cancer that affects the lining of the abdomen and the body’s organs, is very rare. The majority of mesothelioma cases are of the epithelial cell type, which has the most favorable outcome for recovery. The most deadly form of the disease (and also the least common) is sarcomatoid mesothelioma. If you believe you or a loved one may have been exposed, early detection is of vital importance. 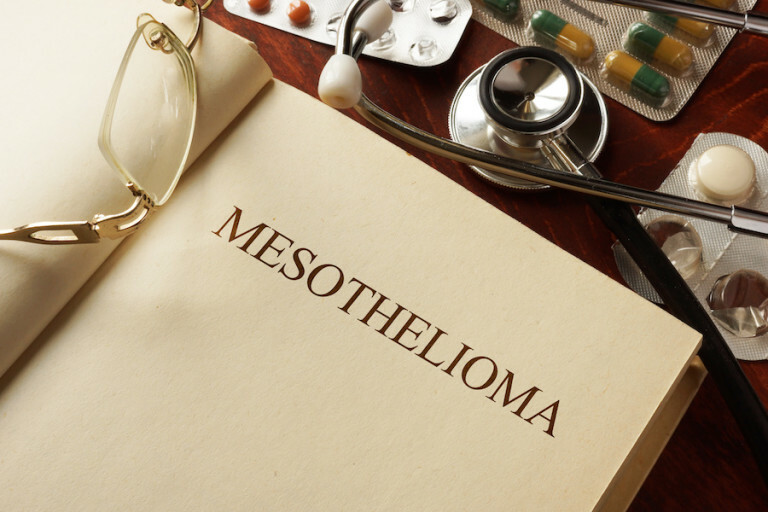 The legal professionals from MesoLawyersCare have recovered more than $10 billion dollars for people diagnosed with mesothelioma. Our firm has successfully represented oil refinery workers, and their family members, who developed mesothelioma as the result of asbestos exposure. For more information or a free consultation, fill out the form on this page, have a live chat now with one of our representatives, or call our offices.